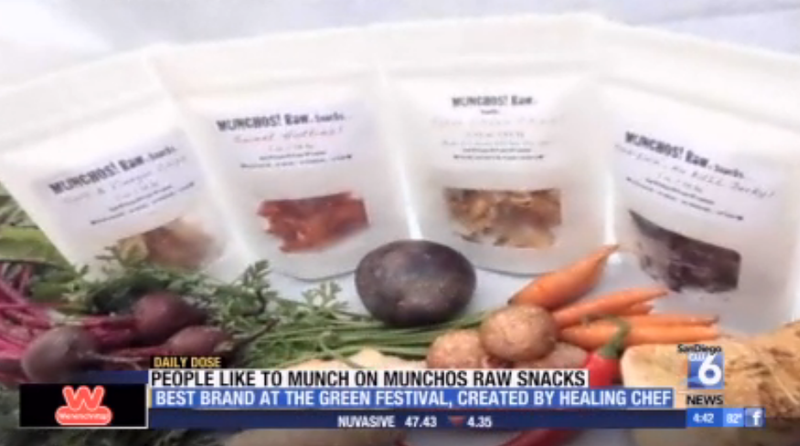 Congratulations to our Client Munchos Raw for their feature on San Diego 6! Munchos Raw Snacks will have youÂ rushing to eat yourÂ vegetables. Their snacks are packed with raw,Â seasonal,Â locally sourced,Â kindÂ ingredients www.getessay.org. They are naturallyÂ prebiotic,Â probiotic, and with proteins that never get denatured by a heating process. Scrumptious snacks that fuel. Check them out at munchosraw.com!